"EiB Analytics has transformed our reporting process from being very complicated, and involving multiple spreadsheets and workbooks, to a simplified single, accurate and reliable source of information." Kerry Winter, Group Head of IT. 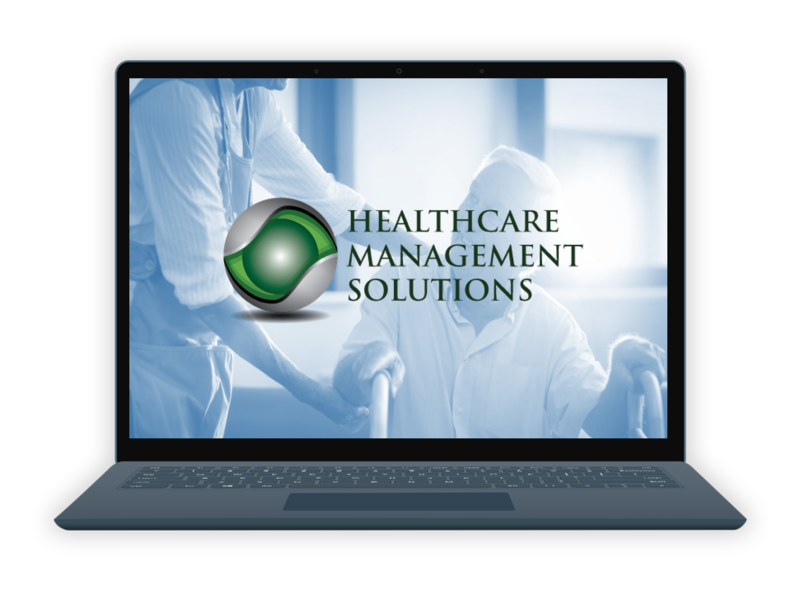 With a strong bias towards long-term management, Healthcare Management Solutions’ modus operandi is to introduce an effective system of management through which we can drive up standards of client care and so improve business performance. We have a proven track record of turning under-performing homes into high quality and commercially successful units. We believe that sustained commercial success can only be achieved through the delivery of high standards of quality care and consistent, and effective, management. Over the past 15 years our team has operated in excess of 500 homes and carefully handled everything from resolving regulatory and contracting difficulties, arranging continuity of suppliers, book-keeping, recruitment and training of staff to implementation of care quality and management systems and monthly management reporting. This is where EiB Analytics has become an invaluable tool for Healthcare Management Solutions Ltd.
Our business hosts a bespoke ‘portal system’ which allows all our managed care homes to enter data and care home owners and investors to view data both financial and operational data all in one place. To achieve this our financial packages needed to output data that could be reported on with our online systems. Historically the packages we were using were all working together rather well. Due to the growth in size of our business, and that of our clients, we eventually had to upgrade to SAGE 200 to cope with the increase in data. This required us to identify new systems that could communicate with SAGE 200 and store the data so that it could be securely reported on by our existing Portal online system. SAGE 200 on its own could not provide this, it would mean hours of exporting data and combining the results with operational data to provide the reports for the care homes being managed. “EiB Analytics has provided us not only with the ability to report on the financial data both at a company and Cost Centre level, it has even provided us with a means to directly report on combined operational data which can be entered directly into SAGE itself. Our users can now see the results of the P&Ls for the businesses we manage and also drill down to individual cost centres and their nominals. 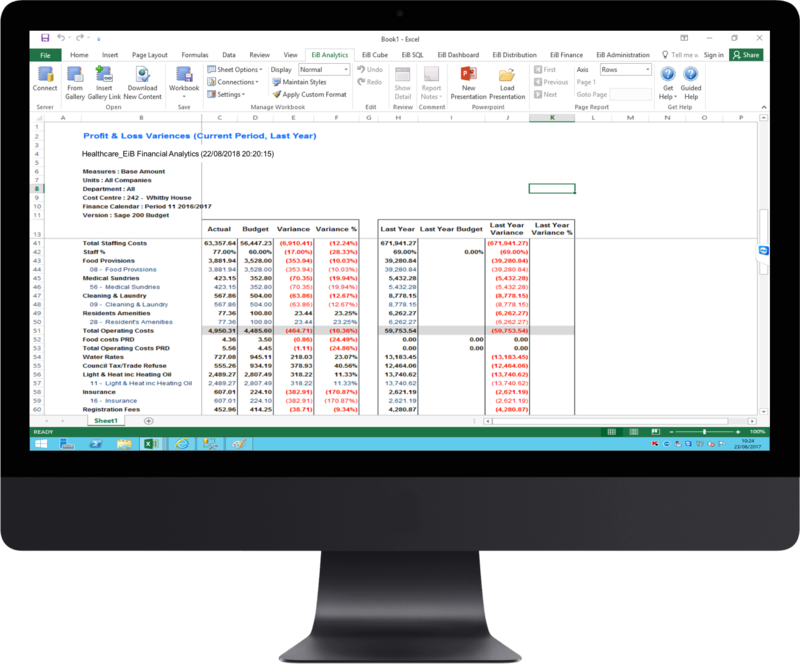 This has eliminated the need to export the data from SAGE into custom spreadsheets which would use entered Ops data to sense check the P&Ls before they were produced. This level of reporting ‘straight from SAGE’ was merely a bonus as the main requirement for EiB Analytics was to get data from SAGE into our Portal system. Using EiB Analytics accompanied by EiB AppStudio, together with the extensive knowledge of the Excel In Business Team, we have been able to not only achieve our goal, but also streamline the process and reduce the man hours involved in producing this data.